To the Lord our God belong mercy and forgivenesses, for we have rebelled against him and have not obeyed the voice of the LORD our God by following his laws which he set before us. Finally, may I go forth filled with the joy and confidence of your Spirit; and may everything I do this day, in word or deed, be done in the name of the Lord Jesus, giving thanks through Him to God the Father. Amen. John 3 verses 14 and 15 says "And as Moses lifted up the serpent in the wilderness, so must the Son of man be lifted up, that whoever believes in him may have eternal life." The people of Israel, the chosen ones became impatient with God during their wilderness experience and complained against God and Moses. They were impatient for better things, a better life, impatient for the promised-land. Their impatience produced grumbling, complaints and hostility towards God and Moses their leader. In essence, impatience is the symptom of not trusting God to fulfill his promises to us. As a result, we try to make our own plans, go our own way, and forget about God and others on the way. Many times our own way leads us to devastation and suffering in our life and others about us. Perhaps the worst form of impatience is betraying another person, even causing them to loose their life so that we get our own way. For the people of Israel going their own way without God meant that, at one time they came across an area full of poisonous snakes. Yes! God did send the snakes but nonetheless, they were a consequence of going their own way. The snakes bit them and many people died. It is interesting to note that God did not remove the snakes at any time. The people had to continue to endure the snakes about them as a consequence of their own sin. In a sense, they were living in judgement. As Christians, we are like the people of Israel, the chosen ones, and we are like everyone else too. We too become impatient. We too forget God’s goodness and to rely on him to provide our daily needs. There are many examples of how we are living in judgement, living a life of impatience. In many ways we are a people living in judgement. Wherever we look there are the scars of our impatience, the consequences of wanting our own way and not trusting God to provide. Unwittingly we are encouraged to be impatient. We are bombarded daily with sermons by promoters on the radio, TV, the multi-media of how we can have a better life now. You can have a new car now, a new house now, a vacation now, and pay later. Their influence is corrupting us into believing that we can have everything now, and so we behave like that too. We desire instant service wherever we go. Even in church, we want growth now, success now, the power of the Holy Spirit now, and never mind the 25 year program. Their influence is providing a substitute way, another way instead of God and we are falling for it. Even though God felt betrayed he continued to love Israel and desired them to be free from the bite and death that the snakes brought. 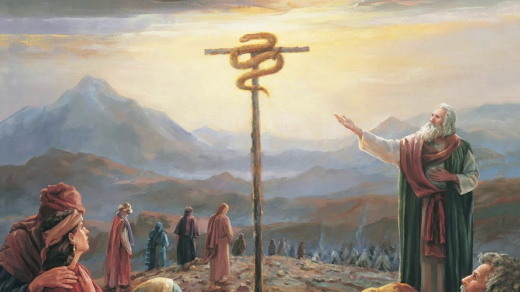 Out of his love for them he sent Moses to raise a pole with a bronze serpent on it and whoever was bitten and looked upon the raised serpent would live. In the middle of judgement there is mercy. The very thing that caused death to Israel in the wilderness was also to give them continued life. How odd to look upon the very thing for life that also gave death. As the people of Israel looked upon the raised servant on the pole, no, much more than that, gazed upon, focused, studied the bronze serpent it would change their life. The bronze serpent on the pole would remind the people of the scars of judgement, the scars of impatience, and the scars of not trusting God. As the people gazed upon the bronze serpent they were moved to repentance and renewed life. Renewed life does not come without repentance. God in his continued love for us was willing to exchange our scars of judgement, our guilt, our shame, and our pain for life. The bitten people of Israel were not only physically healed but also their whole spirit was renewed. They continued a joyful life with God. In the middle of judgement there is mercy. St. John reminds us of this Old Testament text to relate it with the purpose of raising Jesus on the cross. God’s purpose is to give us life through the death of Jesus on the cross. He is doing this to show his continued love for us. God’s purpose is not just for Israel, but for the whole world, for everyone, for you and me. Jesus, Son of man was betrayed, suffered, crucified, and put to death on the cross. Who did it? We did it. As we look upon the cross, no, much more than that, as we gaze upon it, focus, and study the crucified Jesus on the cross we are reminded of what we have done. Through our impatience we have betrayed God, and everyone else. We have not trusted God or anyone else. We have caused suffering to God and all humankind. On the cross is all our sin towards God and to all people. That is why the Son of man has been raised on a pole, to remind us of our sin, to draw us to repentance, and above all else to give us renewed life. Jesus has taken upon himself the sin of the world in exchange for life. Do not be afraid to gaze upon it, to focus, to study the cross, the death of Jesus, because this is the way to a renewed life. 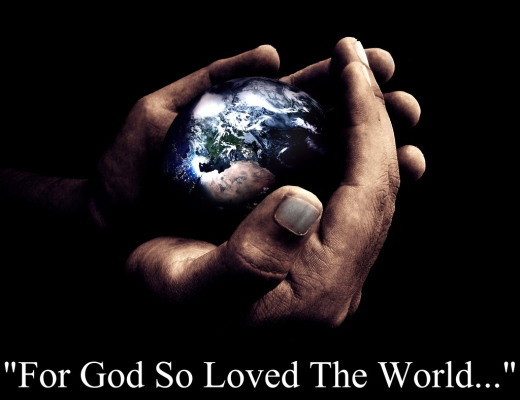 As we do so, there we can also see the love that God has for us all. Behind it all is God’s love and his desire to bring us, you and me to renewed and eternal life, despite our past and our sin. With this renewed life we will be able to show greater patience and trust in God, and life would be better for everyone. Let us pray: Almighty God, I thank you for the life and teachings of your only Son, our Lord and Savior Jesus Christ. It is amazing to me that he lived and walked among us, one of us, a mortal man who bled and felt pain, who felt anger and love, who would become tired and hungry. Your love in showing us that you would share the burdens of mortality is great. Although the terrible beating and torture, and long painful death, that He suffered at the hands of the state was a terrible thing, his ultimate victory in overcoming that death was the greatest victory in the history of mankind. I praise you for Christ's resurrection and victory, and for His promise to all people, that he will intercede for them at their death, and bring them to eternal life. Today we remember and celebrate His resurrection, giving all glory to Father, Son and Holy Spirit for this miracle and the redemption of our own lives. Through Christ I pray, Amen. The Bible texts are from the New Revised Standard Version Bible, copyright 1989 by the Division of Christian Education of the National Council of the Church of Christ in the USA, and used by permission. Sermon contributed by Martin Ellgar on Dec 14, 2014. In many ways we are a people living in judgement. Con tus manos me creaste, me diste forma. Dame entendimiento para aprender tus mandamientos. Gracias te doy, Dios mío, porque aunque sea un lector de tu Palabra y me beneficie de sus enseñanzas, hoy, Padre, quiero pedirte por las personas que no te conocen. Quiero pedirte por las personas que tal vez ahora han sentido un gran deseo de empezar a buscar de ti, de conocer más de tu Palabra. Te pido, Señor, que les des la facilidad de buscar y encontrar una Biblia. Y, Dios mío, que cuando la encuentren, hallen verdadera revelación y puedan convertirla en un manual de vida y de conocimiento. Abre sus mentes y prepara sus corazones para recibir todo lo que ya les tienes preparado desde la eternidad. Gracias, Dios mío, por haberte inspirado y haber dejado esa maravillosa escuela de vida. También te agradezco que muchos conocerán la Palabra y la Palabra los hará libres. The essence of these examples is that instead of exercising and asserting my will, I learn to co-operate with God’s wishes and comply with His will. RESPONSE: Today I will walk the way of the cross with Jesus and comply with His will. PRAYER: Pray for believers under severe persecution who today will take up their cross to follow Jesus. And Jesus said to them, "Have you come out as against a robber, with swords and clubs to capture Me?" They must have been the most unnecessary objects in the garden that night -- all those swords and clubs the crowd brought with them to arrest Jesus. As if He were going to resist arrest. As if He were an earthly king, someone climbing to the top over the broken bodies of other people. Even Judas seems to have known better. After all, he chose the sign so that the crowd would know the right man to arrest. And he chose -- a kiss, a peaceful greeting. It was something that put him well within arms' length of Jesus, in a most vulnerable position -- if Jesus had chosen to fight. But Judas knew better. Jesus would not harm him -- not even His own betrayer. And Judas was proved right. 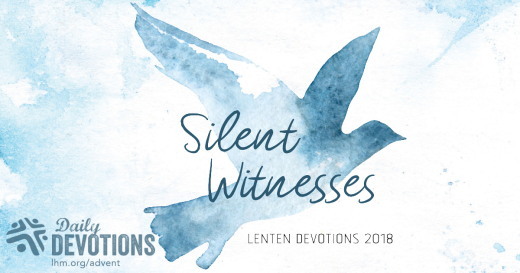 Jesus took just a moment to heal the ear of the high priest's servant, who had ended up on the wrong side of Peter's sword -- and then He submitted to arrest. But not without an acid comment on the weapons! He said, "Have you come out as against a robber, with swords and clubs to capture Me? Day after day I was with you in the temple teaching, and you did not seize Me. But let the Scriptures be fulfilled." Jesus was no robber, using force to steal glory and power that belonged to someone else. He was and is the real thing -- the Messiah, the King of Israel, the Son of David. And He would climb to the top, yes -- that top position would be on a cross, and the broken body would be His own. No clubs or swords were necessary. Jesus came to lay down His life of His own free choice. He freely submitted to arrest, to torture, and even to death for all of us. And three days later, He rose from the dead -- not for Himself only, but to share that victory and eternal life with us. Why? Because He loves us. 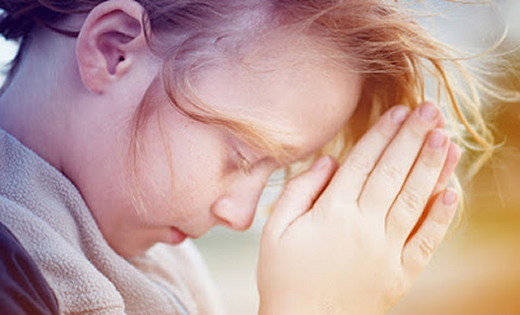 THE PRAYER: Thank You, Lord, that You gave up Your life for me of Your own free will. Now I ask You willingly, take my life and live through me to the Father's glory. Amen. What is the most unnecessary thing you own? Jesús les dijo: "¿Han venido a arrestarme con espadas y palos, como si fuera yo un ladrón?" Pero Judas tenía en claro que Jesús no lo iba a lastimar, por más traidor que fuera. Y estuvo en lo cierto. Jesús tomó un momento para sanar la oreja del sirviente del sumo sacerdote que había sido cortada por la espada de Pedro, y luego se sometió al arresto... ¡pero no sin hacer primero un comentario incisivo sobre las armas! Dijo: "¿Han venido a arrestarme con espadas y palos, como si fuera yo un ladrón? Todos los días estuve con ustedes enseñando en el templo, y no me aprehendieron. Pero esto sucede para que se cumplan las Escrituras" (Marcos 14:48-49). ¿Cuál es la cosa más innecesaria que posee? Les amateurs de sports se plaisent à louanger leurs équipes préférées. En portant leur logo, en faisant des commentaires élogieux à leur sujet sur Facebook ou en parlant d’elles à leurs amis, ces fans ne laissent aucune place au doute quant à leur allégeance. Mes casquettes, mes maillots et mes conversations honorant les Tigres de Detroit démontrent d’ailleurs que je suis de leur nombre. Notre fidélité en matière sportive peut servir à nous rappeler que c’est au Seigneur que nous devons la plus grande fidélité. Je me remémore cette fidélité avouée en lisant le Psaume 34, où David attire notre attention sur une Personne qu’il importe immensément plus de suivre avec fidélité que quoi que ce soit d’autre ici‑bas. David dit : « Je bénirai l’Éternel en tout temps » (V. 1), ce qui nous amène à nous demander pourquoi il nous arrive de vivre comme si Dieu n’était pas notre source de vérité, de lumière et de salut. Le psalmiste ajoute : « Que mon âme se glorifie en l’Éternel ! » (V. 2), ce qui nous révèle que nous nous glorifions plus de nos réussites que de ce que Jésus a accompli pour nous. La loyauté est le test permettant de reconnaître l’amour véritable.